Adobe Reader available for Windows Phone 8, download it now!! 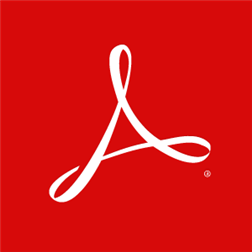 The PDF Reader was officially released today for Windows Phone 8 by Adobe Inc. Microsoft, via its blog, informed that the App will include cut, paste and copy abilities. You can also zoom in on the PDF files to the exact para and open password protected files from this App. Bookmarking is also supported so you can scroll large tomes of PDF documents with ease. The in-PDF links can be opened within the App with a long press on the link. The only disadvantage is that as of now the App is only available in English. The Adobe Reader for Windows Phone 8 version can be downloaded free of cost here.